When Israel and Jordan signed a peace treaty in 1994, special arrangements were made for a parcel of land near Naharayim and Kibbutz Ashdot Ya’acov. Although the land had belonged to Israel for decades and had been farmed by Israeli settlers, under the treaty it was transferred to Jordan. Then, in a spirit of cooperation, it was leased back to Israel so that settlers could continue cultivating their fields. From that time on, visitors were warmly welcomed to the Israeli enclave inside the Kingdom of Jordan, and the amicable agreement was tangible proof that peaceful coexistence could be a reality. The so-called island became known as the Isle of Peace. Nearly three years later, a group of schoolgirls from Beit Shemesh participated in an outing to Naharayim and the Isle of Peace. The girls and their unarmed teachers were standing on a hill above an abandoned lake in the enclave when a Jordanian soldier aimed his weapon in their direction and pulled the trigger. 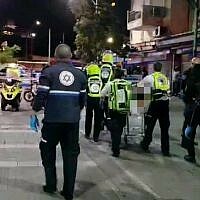 Seven girls were killed in the massacre. Following that tragic event, the late King Hussein made an unprecedented trip to each of the victims’ homes to express his personal sorrow and the grief of his nation. Eventually, new security arrangements were finalized that ensured the safety of contemporary Israeli visitors. Naharayim (“two rivers”) is an unusually exciting site. 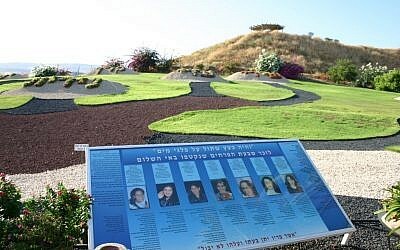 For, besides the Isle of Peace, a lovely overlook, and a striking memorial garden dedicated to the memory of the seven young victims, it features a walk to the Yarmouk and Jordan Rivers that give this site its name. After a good rain, or a blessedly wet winter, their waters churn so tumultuously that I once heard a visitor liken the sight to Niagara Falls! Access to the Isle of Peace is possible only with a guide from Ashdot Yaakov, which runs a kiosk and information center at Naharayim. The tour goes into the enclave and crosses several bridges that Jewish forces blew up during the War of Independence in order to limit the movements of Iraqi forces. It also includes a view of Israeli farmers working the land, a deserted lake, a strange railroad station, and the electrical plant built there by Pinhas Rutenberg in the 1920s. Known as both the Old Man of Naharayim and the Father of Israeli Electricity, Pinhas Rutenberg was born in Czarist Russia in 1879. He was a fiery revolutionary who served for a short time in the Provisional Government after the ousting of the czar, but he was imprisoned when radical Bolsheviks took over the country in October 1917. At some point he was transformed from an assimilated Jew into a fervent Zionist and, upon his release in 1918, headed straight for the Land of Israel. Rutenberg, an innovative hydraulic engineer with a genius for organization, carried out a thorough survey and developed an ambitious plan for establishing power stations all over the country. But when Rutenberg asked the British mandatory government for a concession to Palestine’s water sources so that he could build the dams and power plants he’d envisioned, he found himself faced with stiff opposition. Adversaries included the Arabs and assorted anti‑Zionists, as well as detractors who vilified him as a communist because of his Russian revolutionary background and said he couldn’t be trusted. But the multi-talented Rutenberg — who some called a human dynamo — didn’t faze easily. He persisted, and in 1921 he was granted a 70-year concession to generate electricity by harnessing many of the water sources in Palestine. Soon afterwards, he began working on an enormous project: the first big hydroelectric power station. It was to be located near the southern edge of Lake Kinneret, at the point where the Yarmouk River meets the fabled Jordan. Here Rutenberg could take advantage of the Yarmouk’s heavy flow during floods. And he would also borrow from the perennial waters of the Jordan, which itself is fed from the Kinneret and springs in the Jordan valley. 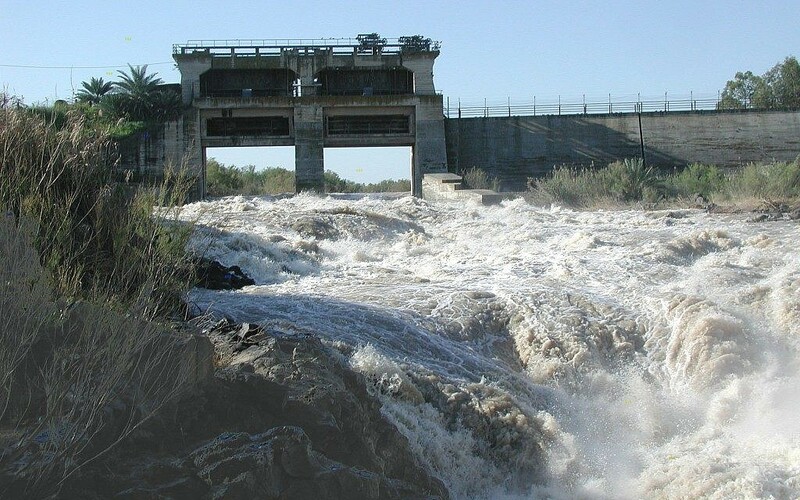 Rutenberg used a system of dams and channels to regulate the flow of water to his power plant. There was also a lake, now an enormous empty pit filled with foliage, which stored water for the summer months when the Yarmouk’s flow isn’t very strong. From a security fence on the Isle of Peace, visitors gaze at the exterior of the once magnificent power plant and its three large pipes. Water flowed into the “Zero Canal,” eventually reaching the pipes and dropping sharply 27 meters to the turbines inside the plant. 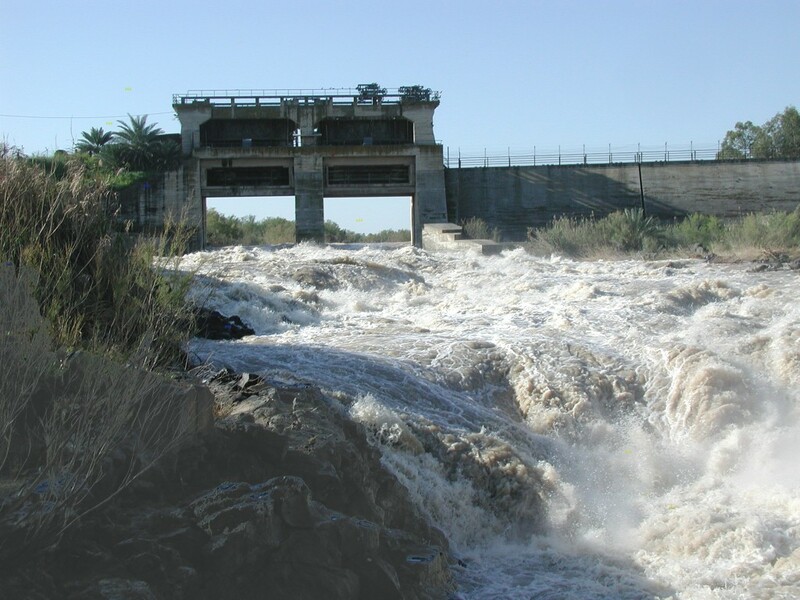 The force of the water activated the turbines of the power plant to create electricity for the entire north of Palestine. 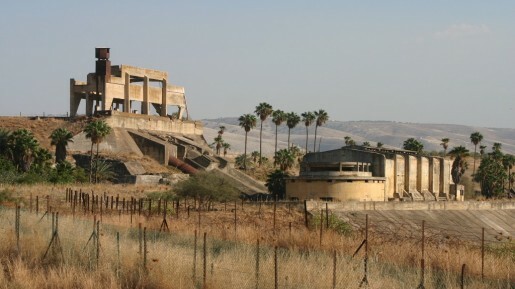 It continued to operate until knocked out by Iraqi forces during the War of Independence. There were two neighborhoods at Naharayim, one for Rutenberg and his clerks and engineers, and another for the workers. Rutenberg didn’t believe in unions — but if you worked hard you were set for life with medical care, schooling, food and a place to live! Building of the plant commenced in 1927 and all was ready at the beginning of 1931. On February 13, 1931, however, there was a huge flood and the canal burst. Water poured into the power plant and sent a 60-ton turbine floating down south. Everything in the plant was devastated. Workers were terrified that their cushy new lives were threatened, and offered to rebuild the entire site for only room and board. Rutenberg agreed — but insisted on paying salaries as well. A second February passed with no damage, and on March 9, 1932, the new turbines began to operate. Naharayim, which connected the entire north with the country’s first electric network, had begun to roll! On the eve of the Arab invasion of Israel, in May of 1948, Golda Meir held a secret meeting with Jordan’s King Abdullah in an attempt to reach an agreement that would avoid a war. 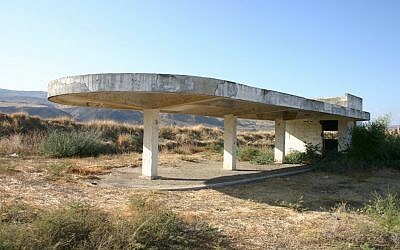 A shed near the power plant is all that remains of the fabulous Rotenberg villa in which the two met, for it was blown up by the Israeli army in 1969, after Arab terrorists used the house as a base for launching terrorist attacks on Israel. One last, unusual site on the Isle of Peace is a deserted railroad station located out here in nowhere! Back in 1905, and for the next 40-odd years, a train ran from Haifa to Damascus and, in the 1930s and ’40s, had a stop at Naharayim. Like the power station, the railroad station was built with Jewish labor. It was designed in Bauhaus (International 1930’s) style, with a notable lack of ornamentation, rounded corners, and long, horizontal lines. Shmuel Bar-Am is a private tour guide.